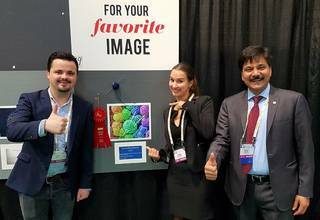 Nanochemistry: 'Science as Art' winner and Poster price in Boston!! 'Science as Art' winner and Poster price in Boston!! David Graf and Isabel Gessner won the Science as Art competition http://www.mrs.org/science-as-art with their contribution My Grandmas Knitting Ball. 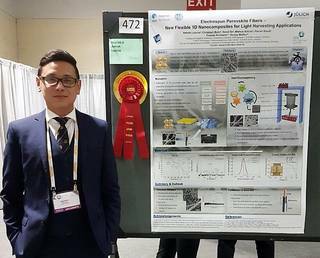 The Poster Electrospun Perovskite Fibers - New Flexible 1D Nanocomposites for Light Harvesting Applications by Christoph Bohr and Dr. Ashish Lepcha was rewarded a Poster Price.